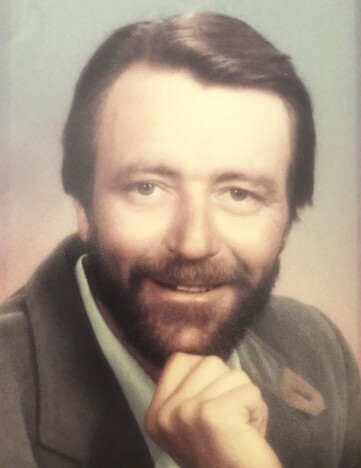 James Leon (Jim) Cutler passed away peacefully, surrounded by family and friends, at his home in Fruitland, Utah, on Saturday, July 28, 2018. He was born October 25, 1949 in Midvale, Utah, the 10th child of Benjamin Lewis Cutler, and Nellie Sharp Cutler. Jim graduated from Hillcrest High School in 1968, and then served briefly in the Army. He married JoAnne Howell on June 4, 1970, and they had two sons together, Jamin, and Joshua. In work and play, Jim always loved spending time with his family and friends, especially in the outdoors while hunting, fishing, and boating. Some of his fondest memories were of deer hunting with his family. Jim enjoyed working with his hands, and made his living in construction. He was a skilled craftsman. Early on in his career, he started Cutler Insulation, working with his brothers Fred and Bob. Later on, Jim moved away from Utah and worked for several years throughout the west, in California, Arizona, and Nevada. In the early 90’s, he returned to Utah and built himself a home on the very lane he grew up on in Midvale. Jim loved the mountains, and in 1997 he decided it was time to move away from the city. He settled in Fruitland, Utah, a little town not far from the mountains where he loved to hunt. There, Jim continued to work in construction, building homes and cabins, and enjoying the slow-paced life of a small town. He found peace and comfort in this new home, he truly loved it there! Jim was preceded in death by his parents, and 5 siblings, Max, Clint, Bob, Wayne, Glenda (Sharp). ‘Papa Jim’ is survived by his sons, Benjamin D. Epperson, and Joshua J. Epperson (Melissa); 6 grandchildren, Ashley, Abby, Emma, Jacob, Lindsey, and Drew; and 4 siblings, Ben, Fred, Charlene, and Barbara (Warner). Memorial services will be Monday, Aug. 6 at 11 a.m. at Goff Mortuary, 8090 S. State St., Midvale, with a visitation one hour prior to services.